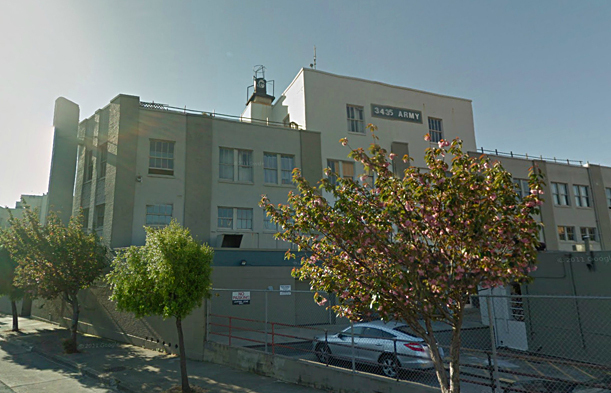 I have a recurring dream in which I find that I have miraculously found my way back home to San Francisco and, just as miraculously, somehow I still have my studio at the old Sears Building on Army Street (now Caesar Chavez). This is a San Francisco of my imagining, a place where, more often than not, my dreams unfold, although it has been more than 20 years since I left. Why does San Francisco still have such a hold on my imagination? 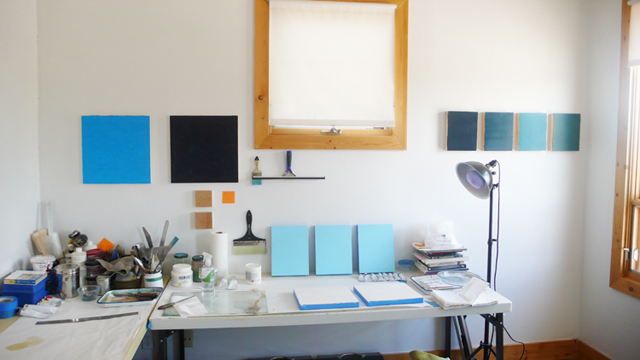 Why should finding myself once more in my studio on Army come with such an overwhelming feeling of relief, of belonging? San Francisco is my mother; she raised me. Her streets were my back yard. Until she showed her dark side – queer bashing in the Mission, the Loma Prieta earthquake, crack vials in the street gutters outside the studio, a resident of the studios cracked over the head with a cinder block, his blood on the entry for days, the broken cinder block pushed to the side and left there, a memorial to the violence that had taken place the night before. It was then I left for Santa Fe, still a boy. 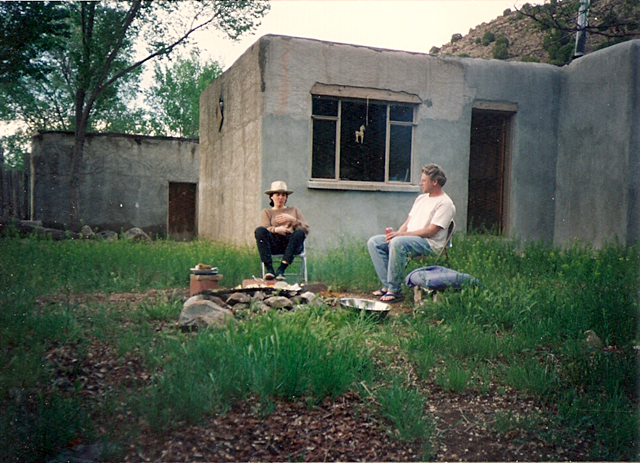 It was in the river canyon south of Santa Fe where I grew from boy to man as I chopped wood for the fires that kept me warm through the winters and carried water to drink and bathe. I washed my dishes in a tub placed on the fallen branch of a large tree next to the cabin. I had only my dog for company. The loudest sound I heard in this silent valley was that of hundreds of black birds taking flight from the field below the house. It was in this cabin that I began to draw again as a way back. It was in this cabin that I made the conscious choice not to go mad. Beth and me at the cabin. 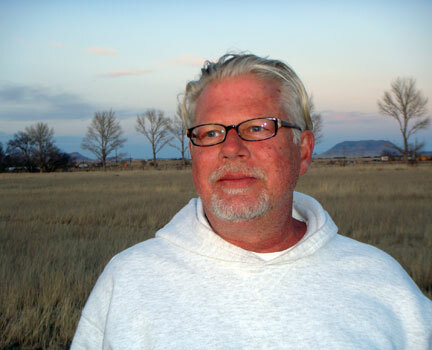 I stayed in Santa Fe until 2004 except for a short time back in California where I lost everything. When I returned to New Mexico, I returned with nothing, which is the best way to come back to the high desert, without expectation, drinking in that vast landscape and letting that drinking in open the path before me. For all my extraordinary experiences there, still I do not dream of New Mexico; I dream of my imagined San Francisco. Still, when I dream, I am back in the San Francisco my mind has created. I feel lucky to have known you in all three places. A constant in all of them is the beauty you have create in your immediate surroundings where you live and the integrity with which you have approached your art. Makes me think, no matter where you go, there you are! Wishing you much love on this next leg of the journey.